Photoshop is the industry standard when it comes to photo editing and graphic design, and for good reasons. If you are a professional photographer, graphic designer, or a digital arts student and looking for an affordable budget laptop for Photoshop, you are in the right place. Photoshop is a resource hungry program, especially in terms of ram and processor and when it comes to budget laptops, these are some of the main components that usually make up the price of any laptop. In this guide we will try to answer some of the questions about the specs that a laptop must have in order to properly run Photoshop (or any similar graphic design program), and we have also compiled a list of some of the best budget laptops for Photoshop you can find in 2017. Before we proceed, let’s take a look at what Adobe says about Photoshop’s system requirements for windows: For running Photoshop CC 2017, Adobe recommends at least an Intel® Core 2 or AMD Athlon® 64 processor; 2 GHz or faster, 2 GB of RAM (8 GB ideally), free disk space, 1024 x 768 display (1280×800 recommended), and 512 MB of dedicated VRAM. We will look to each component individually to see why it should be your primary focus, and also why you shouldn’t really spend money on other components. Processor speed: It’s the engine of your laptop and undeniably the most important component. For Photoshop or any other similar design program, consider at least a laptop with an Intel Core i3, and the faster processor you can get the better. For basic use, such as browsing or typing text, you don’t need a super powerful processor, in fact for typing and browsing even a cheap chromebook can be sufficient. However, once things get more demanding, such as applying an effect to an image, you’ll need a more capable processor. RAM: Photoshop is pretty demanding when it comes to RAM. In general, you should always get as much memory as you can afford in a laptop, since more RAM is one of the simplest ways to improve overall performance, and in particular your Photoshop experience. It is not uncommon that Photoshop eats up upwards of 2-3GB RAM while it is running, and that’s why you should choose a laptop with at least 8GB of RAM or more. If you are going to regularly process large files (over 500MB) and/or work on complex documents with multiple layers and effects, consider a system with even more than 8GB RAM. In most laptops, RAM is upgradable, and you can add more memory to your system if needed. However, more and more models come with RAM soldered to the motherboard, or with no free RAM slots. So choose wisely! Storage type/ Capacity: Your drive provides access to the operating system and installed programs, it’s where your image files and documents will be stored, and for programs like Photoshop it gives extra memory resources (called virtual memory or scratch disks) when is installed RAM is not sufficient. So getting the fastest hard drive you can get is very important. A solid state drive provides the fastest speed, but they are very expensive. Traditional mechanical hard drives offer more space and are more affordable, but they are considerably slower than SSDs. You can read our article to know more about the advantages of SSDs. So if you need a large storage capacity and/or you have a limited budget, go for a traditional hard drive, you can always upgrade the hard drive for an SSD later. However, if you need a more responsive system and if you need to open documents instantly choose a laptop with SSD. Display: Your laptop’s display is very important, it’s where you will actually “see” the project you are working on, and preview all the changes that you make. For photo editing, it is recommended that you go with 15 inch laptop, because unless connected to an external screen, using Photoshop on a small display is just not going a good experience. Screen resolution is also another factor you should take in consideration, and it’s recommended that you buy a laptop with A Full HD screen at least. Newer laptops also come with IPS panels- In-Plane Switching – which provides a better user experience because of its wider viewing angles and superior color quality. Do you need a dedicated graphics card for Photoshop? A lot of users wonder if they can run Photoshop on a budget laptop and if Photoshop requires a dedicated graphics card, so here is the answer to that question. While Photoshop does utilize the graphics card to improve performance and 3D enhancements, it should be noted that most of the time the onboard card is more than enough and can handle Photoshop just fine. So unless you’re editing videos or doing advanced photo editing with Photoshop, don’t make it a priority to get a laptop with dedicated graphics. 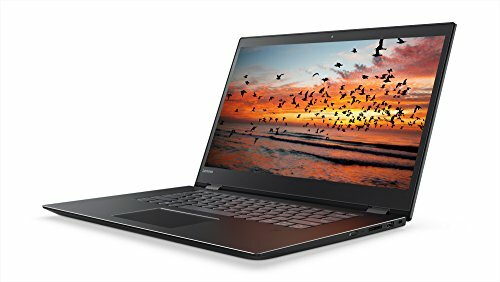 Now that you have general idea about Photoshop’s system requirements and the important factors that you should take into account when looking for a budget laptop for Photoshop, let’s take a look at our list of some of the best affordable laptops you can use for graphic design, all being less than 700$. 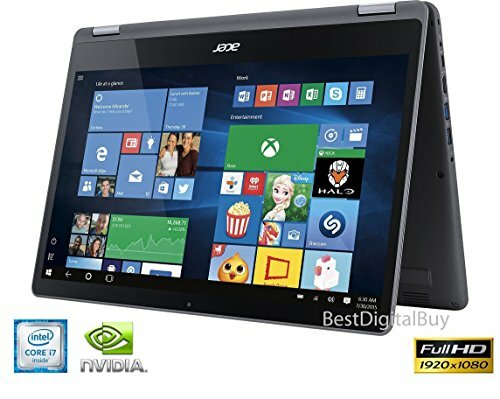 The Acer Aspire E15 E5-576G-5762 is definitely one of the best budget laptops for Photoshop you can get at this price range. This laptop comes with Intel’s latest 8th generation core i5-8250U processor, 8GB of RAM, 256 GB solid state drives, and a dedicated NVIDIA GeForce MX150 graphics card, with 2 GB of dedicated GDDR5 VRAM. According to Guru Verdict, the Aspire E15 a perfect choice if you’re looking for a laptop for everyday use, photo and video editing, and is also a perfect choice if you’re on the hunt for a a cheap gaming laptop. The RAM memory is upgradable up to 32GB. The E5-576G-5762 has numerous improvements over last year’s model, including the latest quad core processor and the MX150, which is slightly better than the GeForce 940MX. The 15.6-inch screen has a native resolution of 1920X1080 pixels, and while its colors may not blow you away and the viewing angles are a little limited, it’s not a bad screen either. Battery life is great, and you can easily squeeze 7 to 9 hours of use out of a single charge. The Aspire E15 also comes with USB type C, which is very important today, if you want to future proof your laptop for the next few years. So if you need a good budget laptop for photoshop, the Aspire E15 E5-576G-5762 should be on your short list. With its all around performance and attractive design, the Dell Inspiron 5000 15 provides a good value for the money. It comes with an 8th generation Intel core i5 processor, 8GB of RAM, and a 256GB solid state drive. The Inspiron 15 also sports a Full HD IPS screen that produces sharp and color accurate images. It is not the brightest display out there on the other hand. 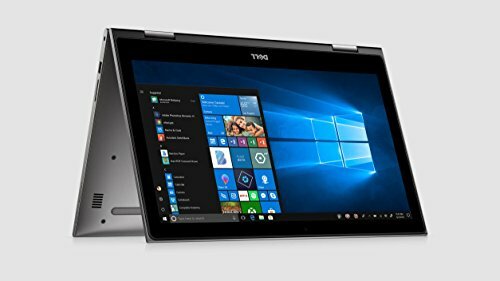 If you’re a student or simply looking for a versatile laptop that you can use for photo editing, then the Inspiron 15 is a very good option. 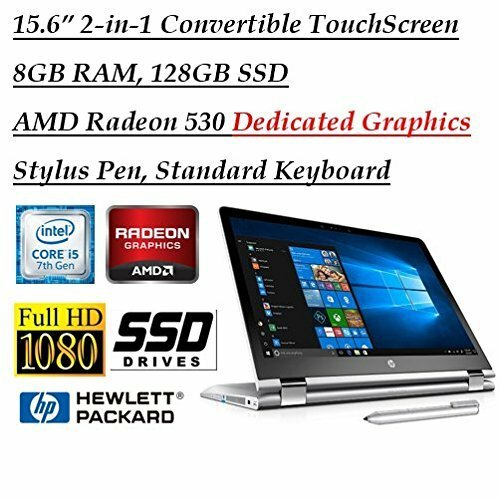 The HP Pavilion X360 is an affordable 2 in 1 laptop that offers a lot of value for the money. It comes with a 7th gen core i5- 7200U processor, 8GB RAM, and a 128GB SSD. The Pavilion X360 is very responsive, and thanks to a dedicated AMD Radeon 530 graphics card, you can even use it for light gaming. The HP Pavilion X360 also comes with a stylus pen, which is a very useful feature for taking notes or drawing. However, a lot of users reported that the pen pressure does not work with photoshop. The screen had a full HD resolution, and thanks to the IPS panel, the Pavilion x360 is capable of displaying accurate and sharp colors. With its attractive convertible design, the Acer Aspire R15 offers great value for the money. For a price tag under 700$, you’ll get a 7th generation i7 processor, 12GB of RAM, and a 1TB hard drive. 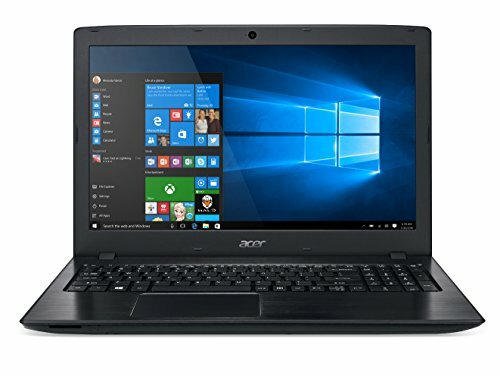 This is a pretty standard configuration at this price range, but what makes the Aspire R15 a good laptop for photo processing and graphic design is its beautiful 15 inch IPS screen, and its quality sturdy design. If you need more power on the other hand, we highly recommend spending an extra 50$, and get the SSD variant, which also comes with an i7 processor and a dedicated graphics card. You check it on Amazon here. With its stunning Full HD display, 8th generation Intel processor, and fast 256GB PCIe Solid state drive, the Lenovo Flex 5 is a very convincing 2 in 1 laptop. There are three main reasons we put the flex 5 first in our list: it’s relatively affordable, has the latest Intel processors and SSD PCIe technology, and most of all a 15 inch IPS display that produces 135 percent of the sRGB spectrum. It is a touch screen, and you can also purchase an active pen separately if you’re a fan of doodling or note taking. While the Flex 5 has a 360 degree hinge, using it in tablet mode is not very comfortable, being a 15 inch notebook, and relatively heavy at 4.4 lbs. Read our detailed Lenovo Flex 5 15 review here. 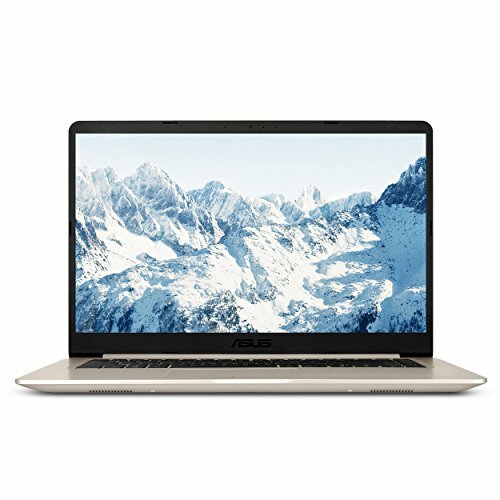 The Asus VivoBook S S510UA-DS51 made it to our list thanks to its decent specs and slim design; the laptop comes with a powerful 8th generation Core i5-8250U dual-core Processor clocked at 1.8 GHz (Turbo up to 4.0 GHz) , 8GB of RAM, and a 256GB solid state drive. The Asus VivoBook S S510UA-DS51has a Full HD IPS screen that provides very good viewing angles and sharp vibrant colors; this is one of the few budget laptops that come with an IPS panel. One of the best aspects about the VivoBook S S510UA-DS51 is definitely its slim design. This laptop is only 0.7″ thin, and the screen has almost no bezels on the sides. 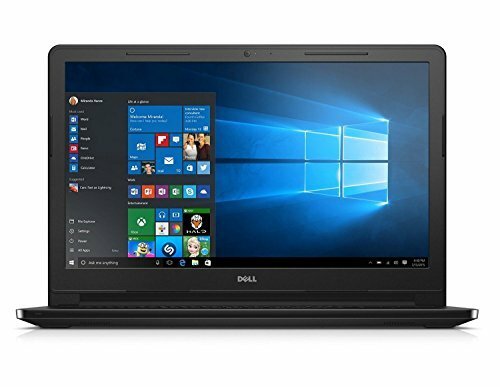 Packing a 7th gen Quad-Core i5-7300HQ processor, the Dell Inspiron 15 7567 is a solid mid range gaming laptop that combines an impressive feature set and a budget friendly price. What makes the Inspiron 15 7567 a good laptop for Photoshop and graphic design is its incredible performance, thanks to a quad core processor, 8GB of DDR4 RAM, 1 TB hard drive and a dedicated NVIDIA GTX 1050 graphics card, the Inspiron 15 7567 is not only capable of running demanding titles at medium settings but can also tackle other intensive tasks, such as video editing. The Inspiron 7567 is also a great choice if you’re an architecture student and need a budget laptop for AutoCAD. While it’s not the brightest screen out there, the Inspiron 7567 has a stunning Full HD 15,6 inch display, which provides decent color accuracy, good contrast, and good viewing angles. According to the model, you can get either a TN or an IPS display, while an IPS display is highly recommended in this case, keep in mind that this particular laptop comes with a TN panel. 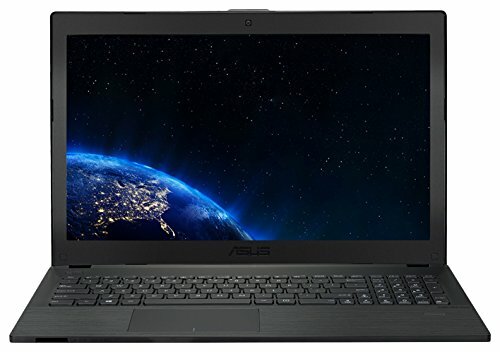 The Asus P2540UA-AB51 is a budget-friendly business laptop with a professional sleek design. Powered by a 7th Generation Intel Core i5 7200U and 8GB of RAM (upgradable up to 16GB), there is enough power to run all your resource hungry applications without lag. It comes with a traditional 1TB 5400rpm hard drive that offers lots of space to store all your data but doesn’t provide the speed of an SSD, this is no deal breaker however considering the price. The 15.6-inch anti-glare matte display is great and offers good color accuracy. The screen is also scratch resistant and has a native resolution of 1920 x 1080 pixels. As for the connectivity, the Asus P2540UA-AB51 comes with 4 USB ports, VGA and HDMI port, and an Ethernet port. Battery life is good, Asus claims up to 9 hours of use, but expect about 6-7 hours in real-life use. 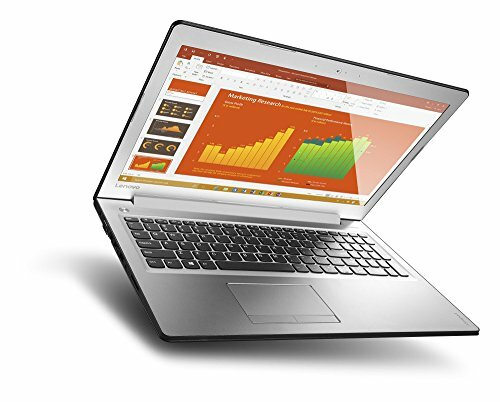 The Lenovo Ideapad 510 is a stylish multimedia oriented laptop that doesn’t disappoint. Powered by a 7th Gen Intel Core i5-6200U clocked at 2.3 GHz, 8 GB of RAM (upgradable to 12GB), a 1TB hard drive, and a dedicated NVIDIA GeForce 940MX, this device is clearly designed for home use, multitasking, and mild gaming. The 15,6 inch IPS display has a resolution of 1920X1080 and provides good color accuracy and viewing angles. The included battery, on the other hand, has a capacity of 39WHr only, and considering this laptop comes with a dedicated graphics card, battery life is average. So if you need a laptop for outdoor use, this isn’t going to be the best choice. Powered by a 7th-Gen Intel Core i5 Processor, 8GB of RAM and a solid state drive, the ASUS F556UA-AB54 is a powerful all-purpose laptop with a premium feel. The included dual core i5-5287U processor (clocked at 2.5 GHz) is not only power efficient, but delivers enough computing power for routine use and even demanding applications or multitasking. This model comes with intel’s Iris Graphics 6100, which is a slightly more powerful version of the HD 6000. This is obviously not a laptop intended for gaming, but you will certainly be able to run older and less demanding titles on this. 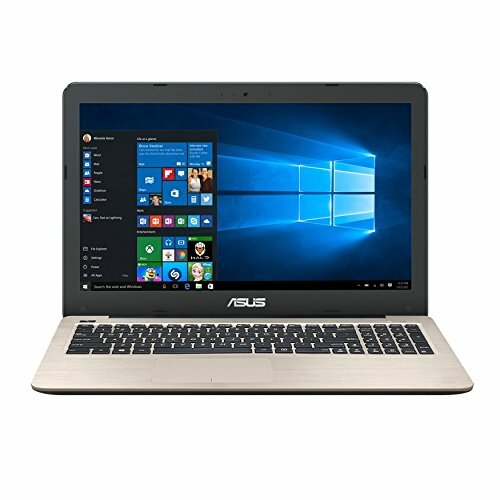 The ASUS F556UA-AB54 also comes with a solid state drive, which means a more responsive system and an almost instant access to your files and applications, which is particularly helpful if you will be using this laptop for Photoshop. You can also upgrade the RAM memory to 16GB if necessary. Also note that this model comes with a full HD display and a wide range of other options including USB type C, and also an optical drive. The Inspiron 15 is a mid-priced laptop that offers great value for the money. This laptop comes with integrated HD Graphics 5500, and thus is not intended for video editing or 3D work, but with an Intel Core i7- 5500U CPU, 8GB of RAM and 1TB SATA hard drive, the Inspiron 15 5000 is capable of handling all your normal computing tasks, and especially Photoshop. The display is a 15,6 inch full HD TN LED panel, which offer good colors and is also matte. Also note that it’s a touch screen. Although the case is mostly made of plastic, the machine doesn’t seem cheap at all but rather classic and professional. As for the connectivity, the Inspiron 15 comes with 2 USB 3.0, 1 USB 2.0, HDMI, and an Ethernet port. 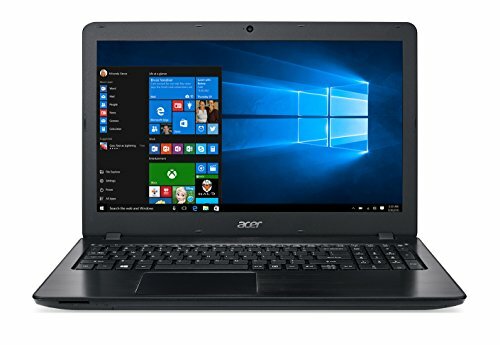 The Aspire F5-573G-56CG combines an ULV i5 processor with 8GB of RAM, and a dedicated NVIDIA 940MX graphics card for the very appealing price of $650.00. It is a perfect multimedia device for graphic designers; the included Intel Core i5-6200U processor can easily handle demanding applications, and with 8GB of ram, there is enough memory for programs like Photoshop. And while 8GB is more than enough for most users, it should be noted that this model comes with two 4GB modules that are not soldered to the motherboard, thus making it possible to upgrade if necessary (up to 32GB). 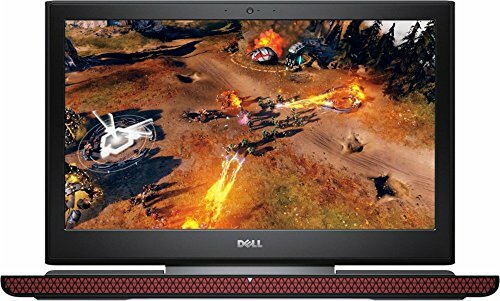 The laptop comes with Intel HD Graphics 520 and Nvidia GeForce 940MX with 4 GB of dedicated DDR5 VRAM, integrated graphics are used in normal mode, and when running a demanding 3D program, the 940M kicks in. As for the storage, the Aspire F15 comes with a 1TB hard drive which offers enough capacity if you have large files. Needless to say that this is a traditional hard drive and that even if you get a model with a 7200RPM drive it won’t match up to the performance of an SSD drive. You can however upgrade to an SSD later, if you want a more responsive system. The build quality is great; the aluminum finish on the lid and the chrome frame surrounding the touchpad give a premium feel to the machine. The Aspire F5-573G-56CG also comes with a mat full HD screen, which gives it an advantage for outdoor use.